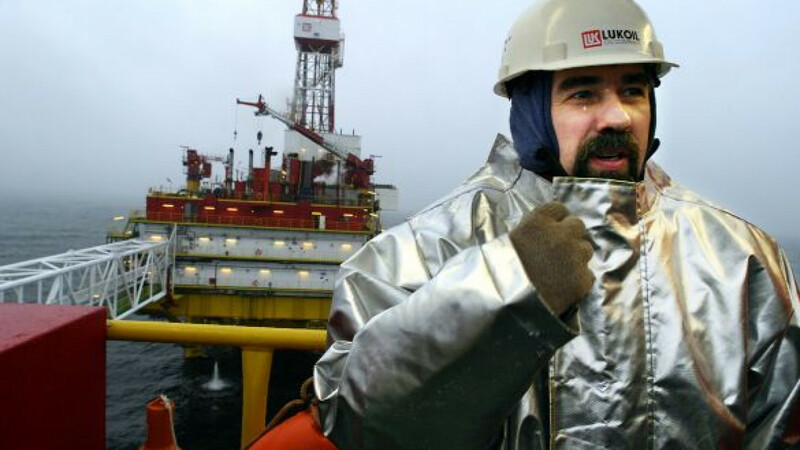 LUKoil president Vagit Alekperov has asked President Vladimir Putin to allow private oil companies to develop offshore fields if they secured the necessary licenses before the introduction of federal restrictions. "Such a request has been made, and the matter is ongoing," Alekperov said in an interview published Thursday in Vedomosti. He offered no additional details about the conversation with Putin, saying only that it was recent. But a representative of Deputy Prime Minister Arkady Dvorkovich said the authorities saw no reason to review the law on mineral resources, which limits the development of offshore fields to state-owned companies, Vedomosti reported. The only two companies that meet those requirements are Rosneft and Gazprom. Putin's spokesman, Dmitry Peskov, indicated that LUKoil was not alone in its request, saying private oil companies have repeatedly pressed the authorities over the issue. Alekperov said he would continue to fight for private companies to gain access to offshore fields. "I hope that this will happen. When, I don't know. A decision might be delayed or made very quickly," he said. "We will honor this law while it is in force, but we will continue to fight because it reduces the attractiveness of investing in the Russian economy and does not help it develop." According to the law on mineral resources, companies that work offshore must be at least half owned by the state and have five years of experience. Private companies like Shell, ExxonMobil and even LUKoil have managed to tap those fields by forming joint ventures with the state. But Alekperov said such arrangements were not fair. "I believe that we should have the same opportunities" as a state company, he said. Private companies are likely to gain equal access to offshore fields eventually, but not in the near future, said Raiffeisenbank analyst Andrei Polishchuk. He predicted that the rules would be relaxed when it became clear that no state-owned company would develop particular fields.